Pierre & Vacances Le Domaine de Gascogne Residence is surrounded by lush greenery and the beautiful Biscarrosse golf course, and lies just 300m from the lake beaches and 4.5km from the ocean beaches. The apartments have balconies or terraces offering views of the swimming pool, pine forest or surrounding greenery. For your comfort: an outdoor pool with paddling pool, a children's playground and a ping-pong table. A number of activities are available both in the residence and local area such as: You have the choice between the outdoor heated pool of the residence, the lake beaches 300m away and the ocean beaches 4.5km away. A playground, table tennis, bike hire, loan of board games... For enthusiasts or just the curious, a 27-hole golf course is available at Biscarrosse (pre-bookable). Many sports and activities are planned in and around the area. Biscarrosse: a great location surrounded by forest, lakes and ocean, near the dunes of Pyla. 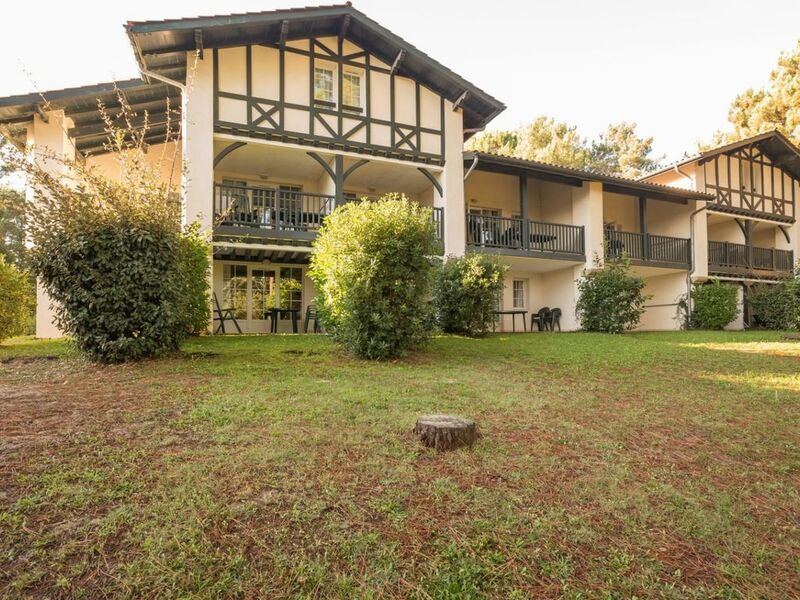 Just 300m from the lake beaches, near the Biscarrosse golf course and Parc de Larrigade. A residence with heated outdoor pool, paddling pool, children's playground and bike hire. Living room with 2 single sofa beds, one of which includes a pull-out bed and an area with a single bed. Note: All apartments are located on the ground floor. The top bunk is not suitable for children under 6 years of age. Law no. 95 949 of 25/08/1995. Located 70 km from Bordeaux and 30 km from Arcachon, Biscarrosse is a charming seaside resort for "nature" holidays on the Landaise coast. Between Bordeaux and Arcachon, just a few kilometres from Cap Ferret and the Pyla dune. Bordered by a lake and the ocean with its fine sandy beaches. Magnificent pine forest with 100 km of cycling paths and 17 hiking trails.